It began with Jamie MacGregor, stealing diamonds in Africa. It continued with his daughter, the powerful Kate Blackwell who grew her father's company into a world wide conglomerate, Now the story passes to the next generation. 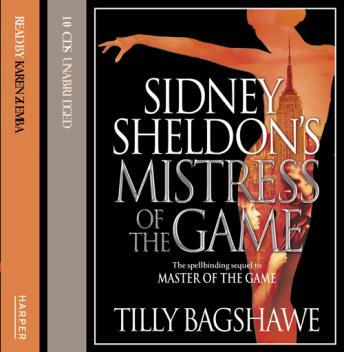 Spanning the decades and picking-up exactly where Sidney Sheldon's bestselling Master of the Game finished, Mistress of the Game follows the Blackwell family as they, Love, and lose, scheme and murder through the 80's up until the present day.